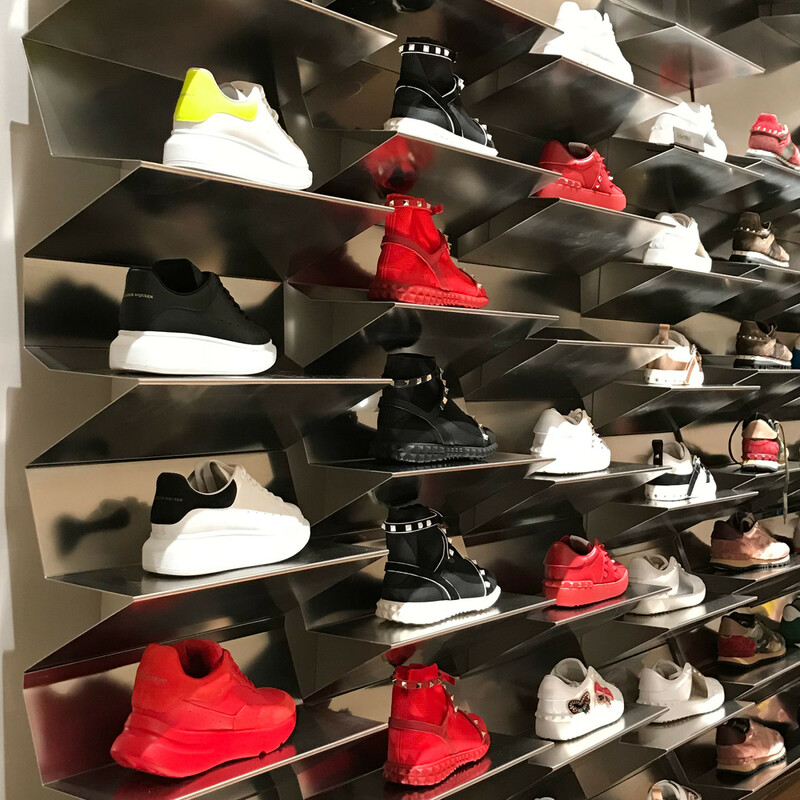 Jamie discusses designing for Kurt Geiger ahead of their new boutique now open at Selfridges. 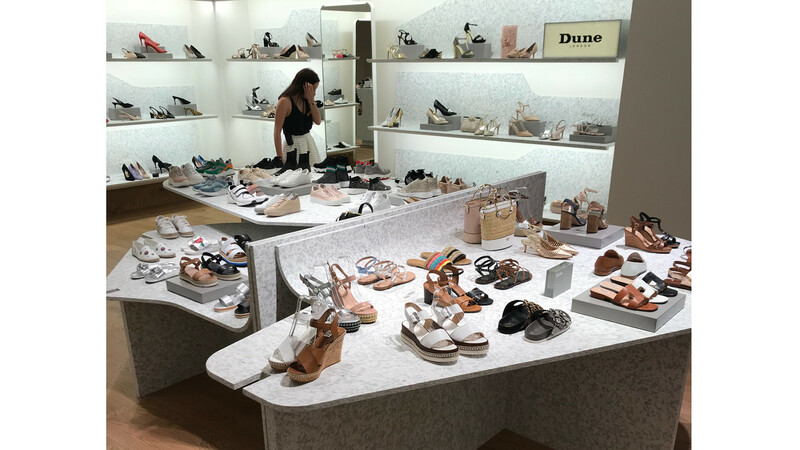 Our redesigned Gallery 2 in Selfridges Women’s Shoes opened this weekend. Fragmented and interlocking shapes in grey and white were designed for 100% recycled mid-floor display tables and perimeter shelves, with seating in a darker grey. 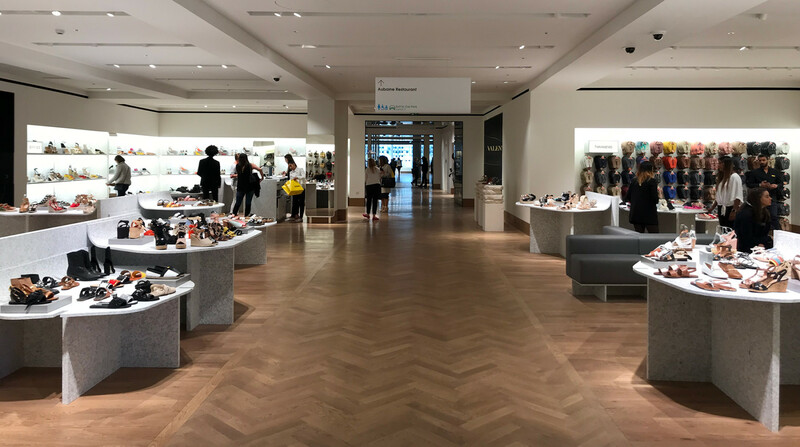 The flooring is French Oak, laid in a gentle bespoke pattern within the retail display areas and in a distinctive herringbone pattern to mark out the walkways. 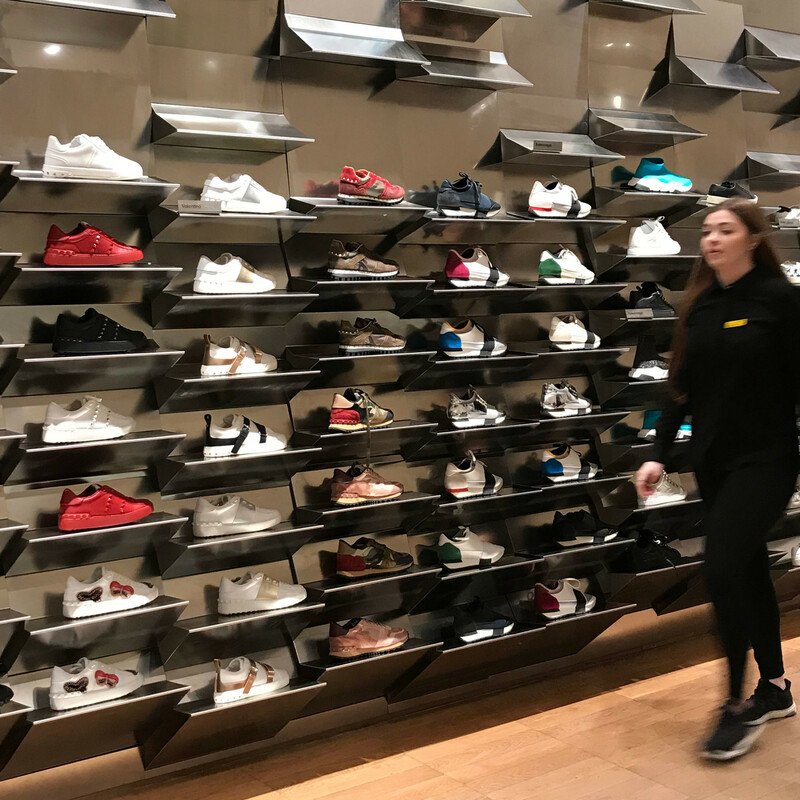 Our new sneaker walls were unveiled in the Selfridges Shoe Galleries yesterday. 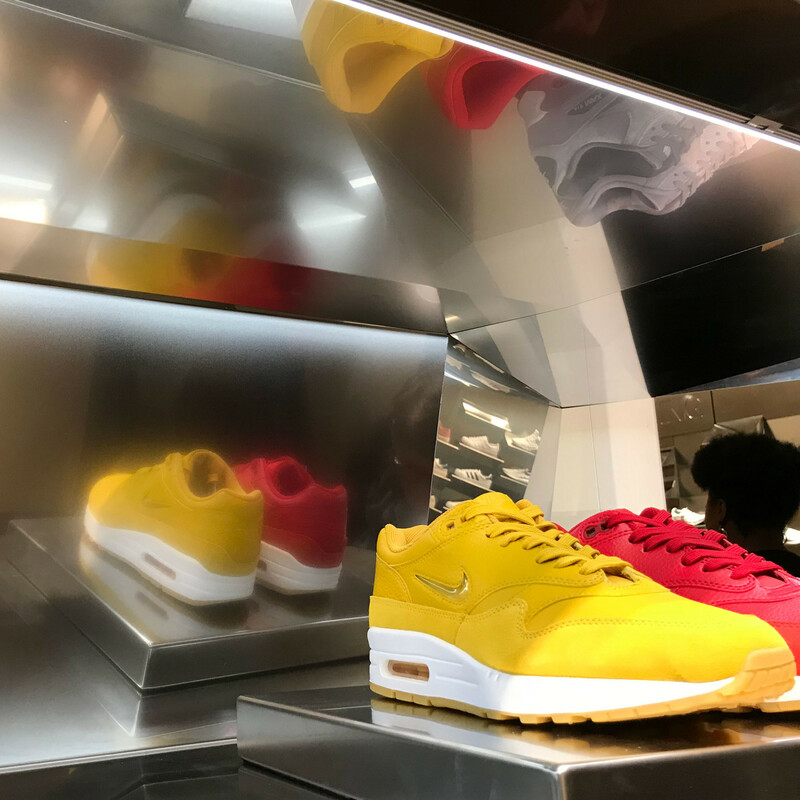 They offer a striking display for the department store’s extensive selection of womens sneakers. Vertical bands of stainless steel have been folded to form a individual display shelves. The vapour-blasted finish on multiple facets creates soft reflections. Currently on site, our House in Primrose Hill involves the remodelling of an 1840s villa into a comfortably, contemporary family home. 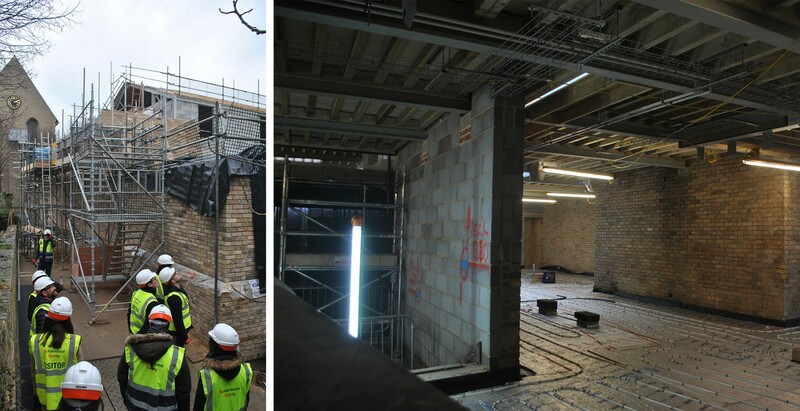 Constructed using handmade bricks, the new building elements will make an elegant addition to the streetscape, which sits within the Primrose Hill Conservation Area. Aerial photographs taken using a drone this week show us Tate St Ives’s new building in plan, reminding us of our own construction drawings. The drone is controlled by the site’s resident crane driver. Here you can see the paving of the rooftop pathway in progress. At the same time, preparation is being made for the planting of Cornish wildflowers. Weaving between the elevated volumes of the light chambers, the new public route meets an existing path which leads to the sea. 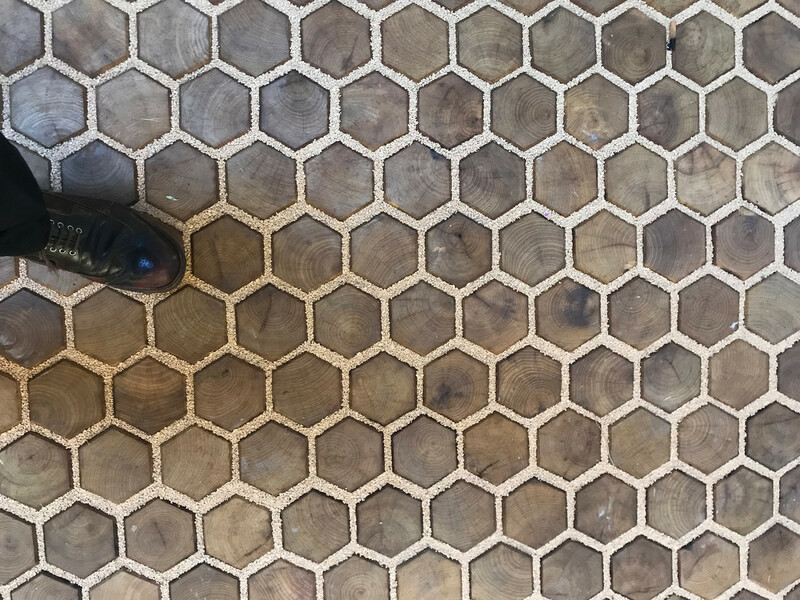 This week, Jamie has been in Trinidad to visit our newly completed House in Port-of-Spain. Click at the top of the image to take a tour from the dining terrace and across the living room terrace to the north garden. 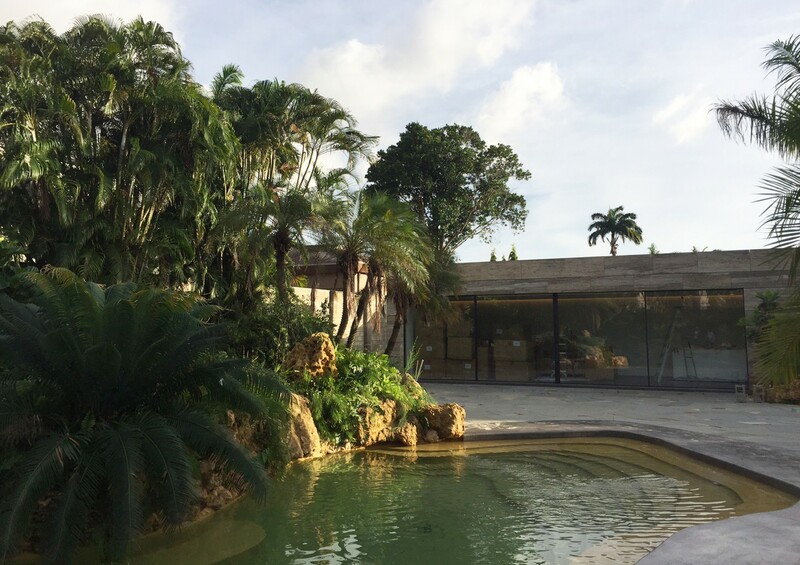 The house is built in travertine and the beautiful gardens and lagoon-like swimming pool are by Todd Longstaffe Gowan. 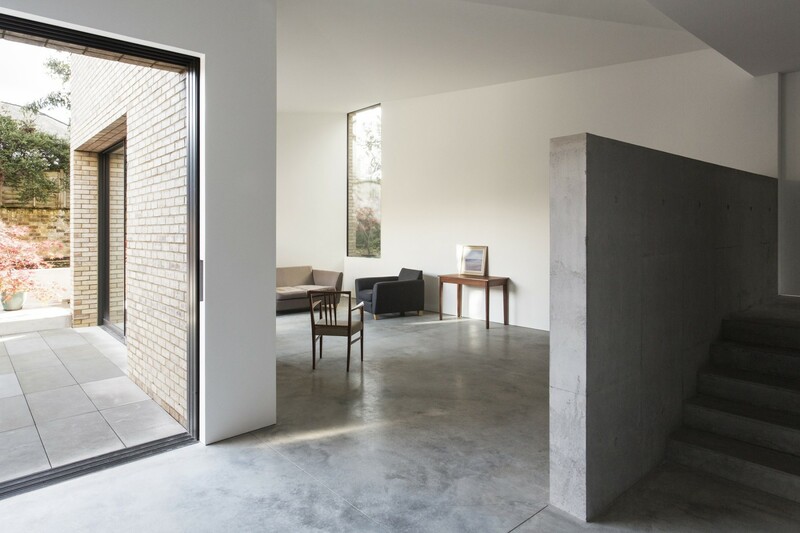 There’s some beautiful joinery made by Coulson being installed at Kettle’s Yard. 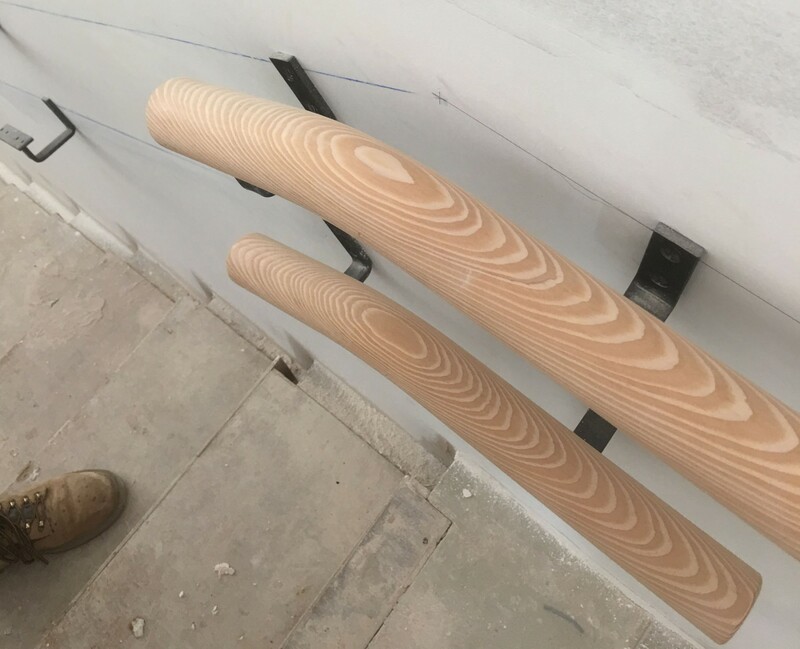 Here’s the beginning of a double handrail in Douglas fir. 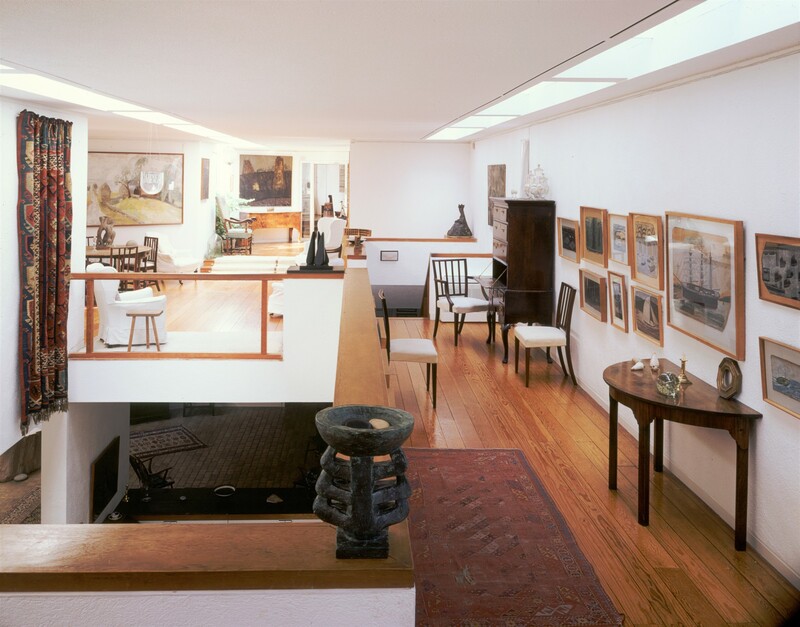 It will lead down to the basement education room, with one rail at a normal height and one a little lower, just right for the visiting children. 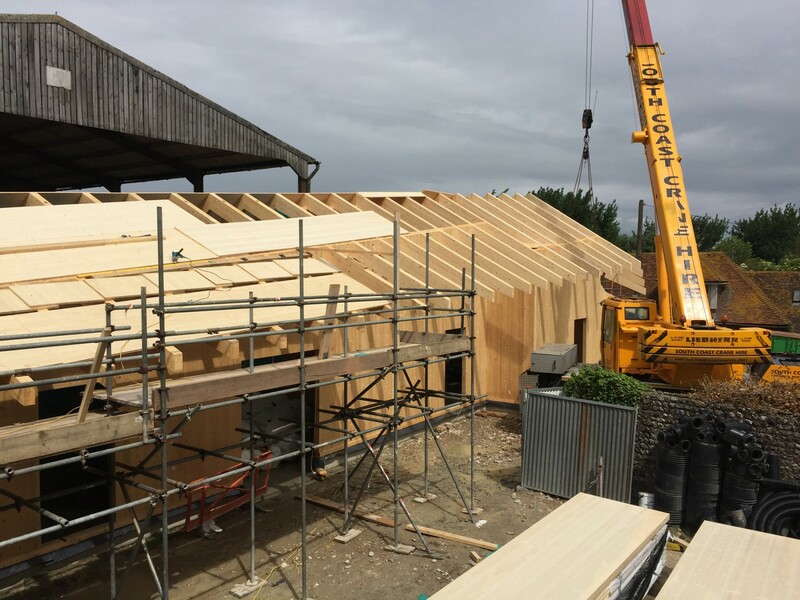 Charleston is currently a hive of activity with their annual literary event, the Charleston Festival, in full swing and with the ongoing installation of our hand-crafted wooden building frame. 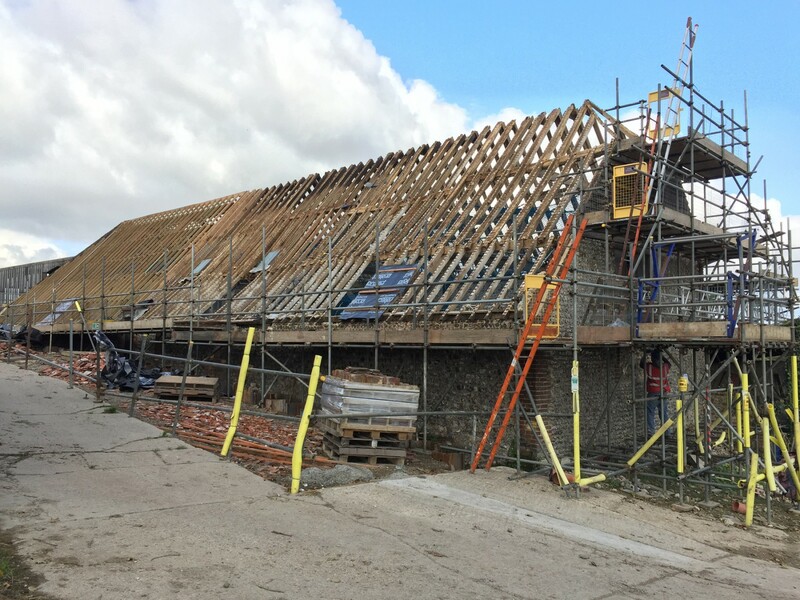 Former Trustee Charles Saumarez Smith has on his blog described his delight at seeing the progress of the works. 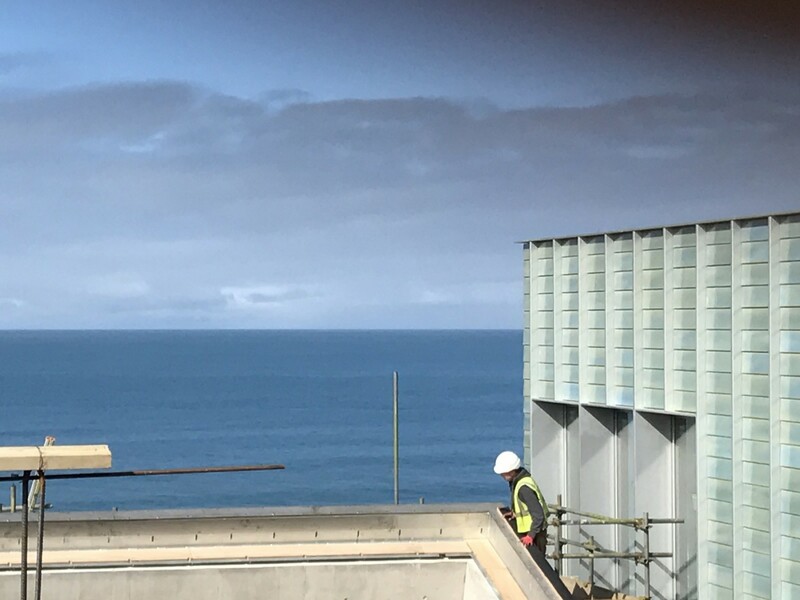 BAM Construction and Absolute Glazing have been installing the roof light glass at Tate St Ives. 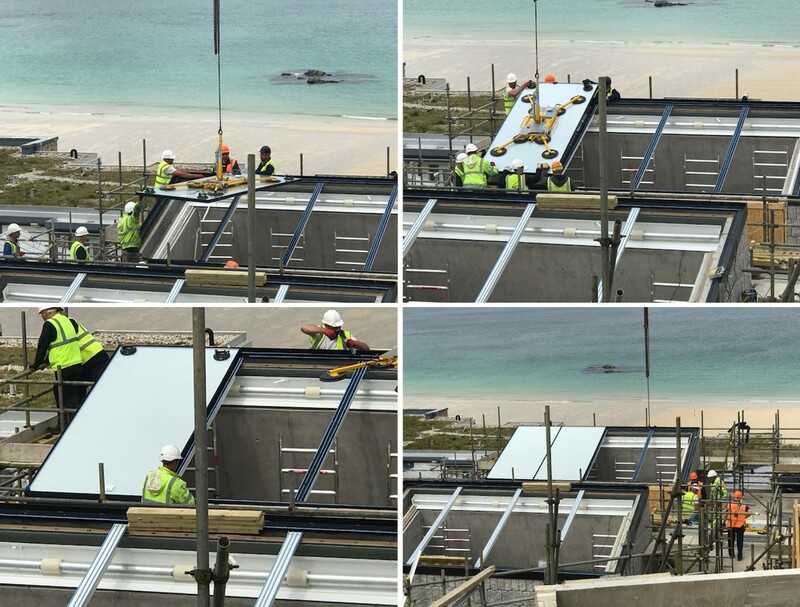 The six large light chambers on the roof capture St Ives’ particular light for the new gallery below. Our new building at Charleston is starting to take shape. 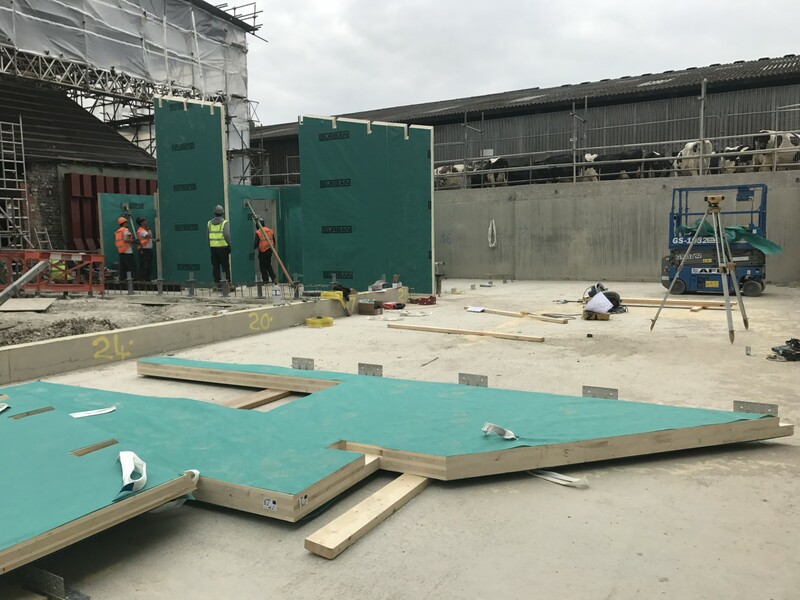 Cross-laminated timber elements which have been fabricated off-site are now being installed piece by piece. Reference is made in both form and materiality to the historic barns of the farmhouse site, but at the same time employing modern fabrication techniques. 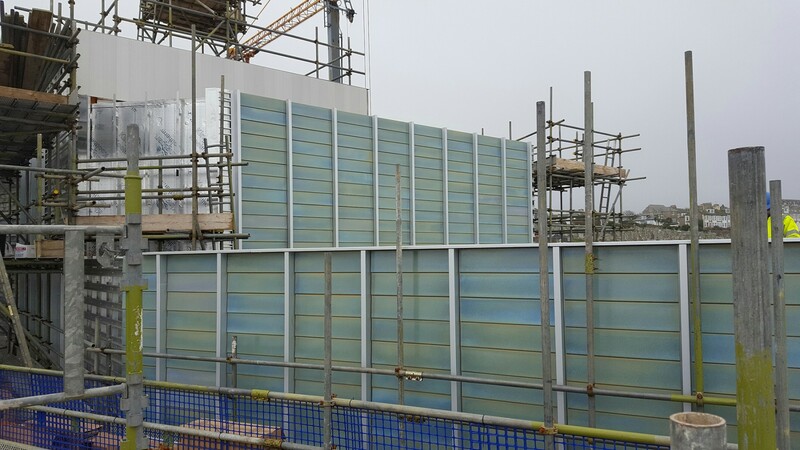 More of the faience cladding has been installed at Tate St Ives. 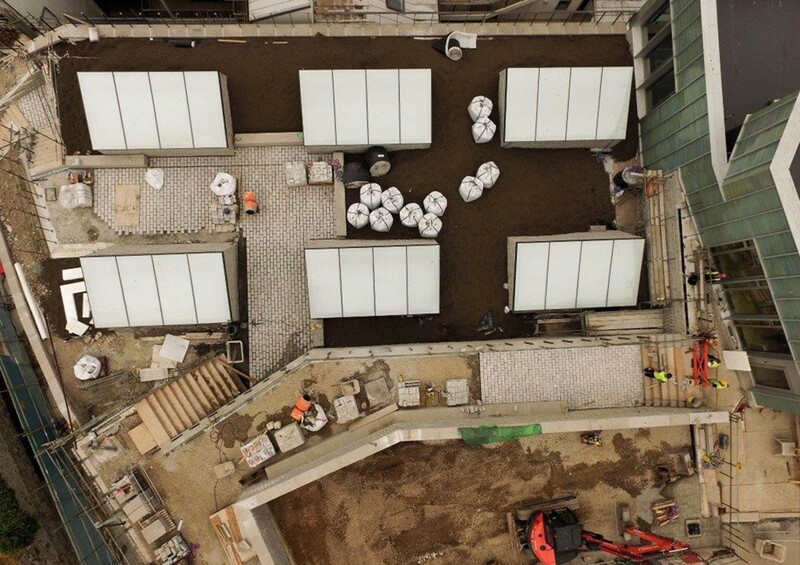 We can now begin to see how our rooftop pavilion will look once it is complete. 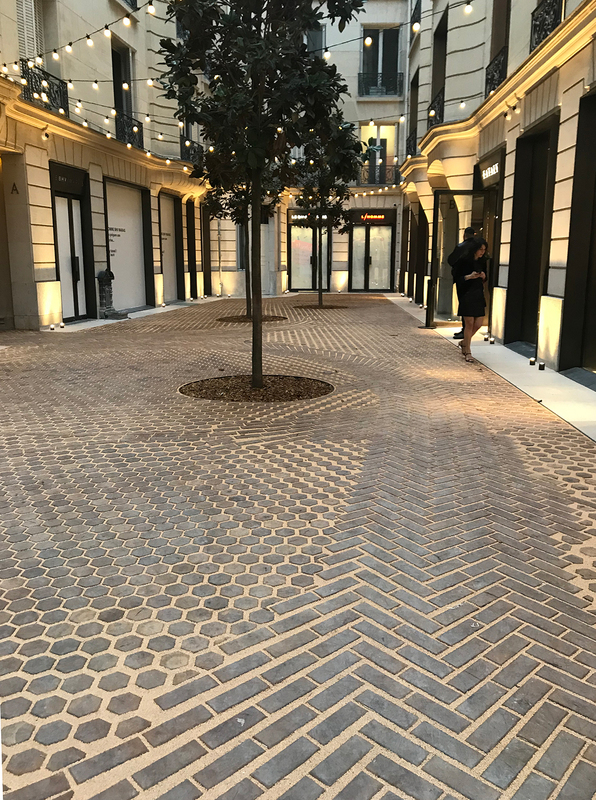 The ceramic tiles are hand glazed, with beautiful natural variation and they are paired with anodised aluminium for the trims and intermediate elements. In form and materiality, the pavilion has a quality and richness of expression appropriate to and indicative of its gallery use. It is designed to be visually interesting not only from close proximity but also from a distance, since the pavilion is the only element of the new building which is visible within the town of St Ives. 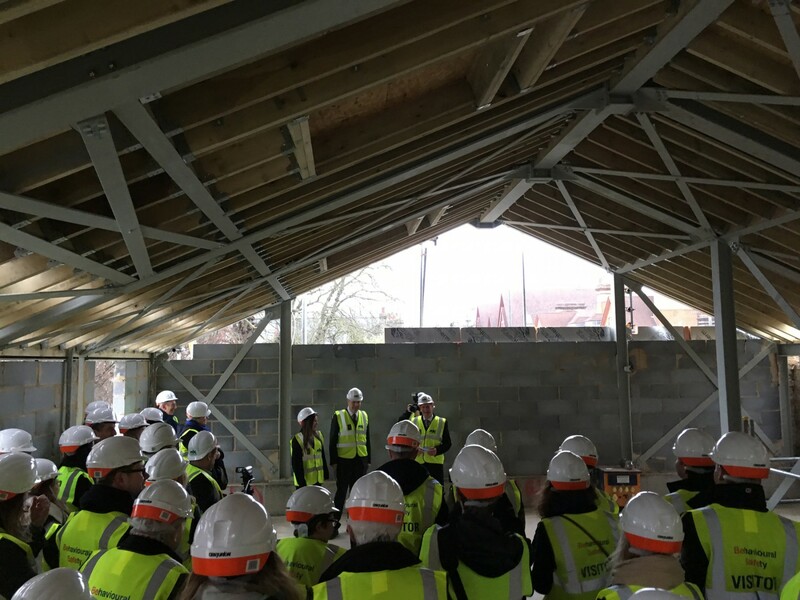 There were celebrations in Cambridge yesterday at the ‘topping out’ ceremony for our new building for Kettle’s Yard. 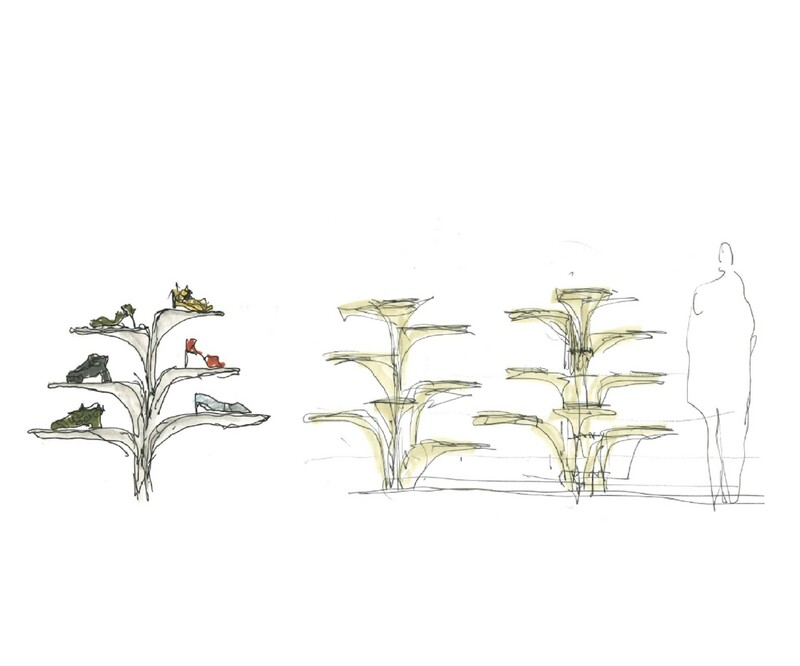 The completed project will include a four-floor education wing, two remodelled galleries, a café, and a new entrance. 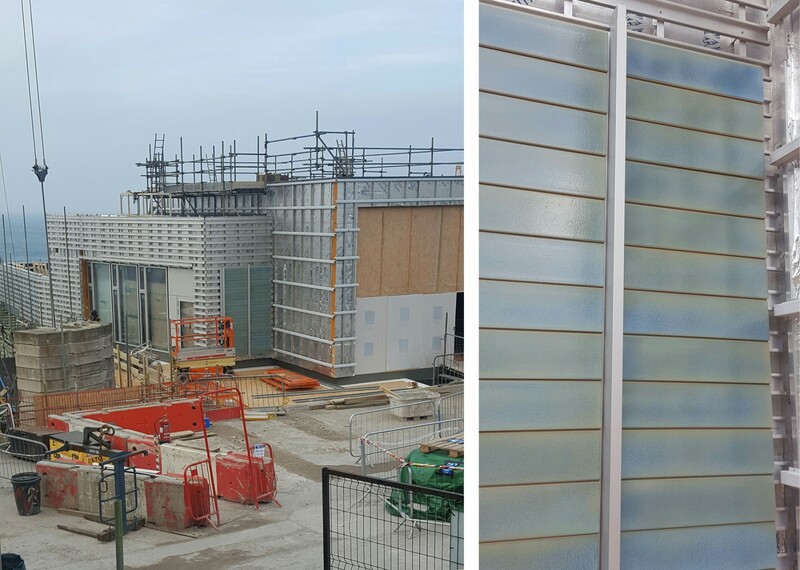 The ceramic tiles have arrived at Tate St Ives, for the cladding of our rooftop pavilion. 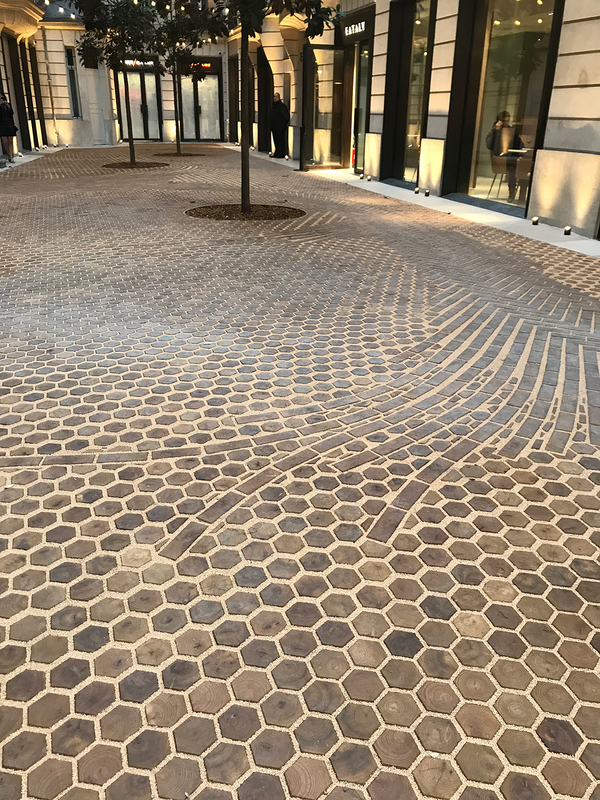 The tiles have been designed to echo the hues of the sea and the sky and to reference the local tradition of ceramic artists such as Bernard Leach. Todd Logstaffe-Gowan, the landscape designer for our house in Trinidad, has shared some photographs of the site today. We are delighted to see the garden and its lagoon looking so lush and welcoming. The travertine-clad house is almost complete.